A family dinner gives the parents and kids an opportunity to come together as a unit. Even if your cooking skills aren’t the best, putting a meal together every night gives you practice, and you will improve over time. Additionally, most people are looking for ideas for a family dinner on a budget. As my children were growing up, my husband Wally and I made the decision to have mostly home-cooked meals. While our daughters’ friends’ families pulled up to the drive-through in fast food restaurants, I toiled at the stove. There were times when I gave in to the temptation of plunking down money rather than time. Although short-lived, the impact lingered. I noticed that when we ate dinner together at the table, we had a better family relationship. Fast food seemed to drive a wedge between us. I can’t blame the food, but there is something special about sharing the same meal. This also gave us an opportunity to teach and enforce good manners that our older daughter has passed down to her children. Now my granddaughters enjoy setting the table when we’re all together. 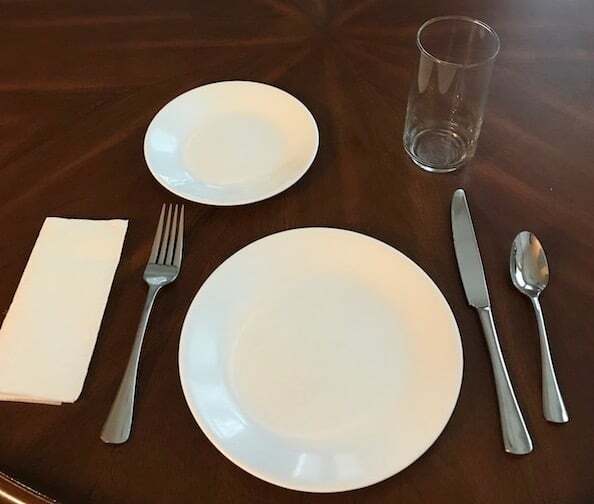 Kids can set the table. Additionally, we were forced into conversation, so we learned to take turns talking. To this day, our daughters are great conversationalists, and they’re super polite. Even though I cooked most meals at home, I didn’t spend hours and hours in the kitchen. I learned quite a few shortcuts and kitchen hacks that spared me quite a bit of time. One of the best inventions ever is the casserole. It gives cooks the opportunity to be creative while adding ingredients that provide the nutrition we all need. 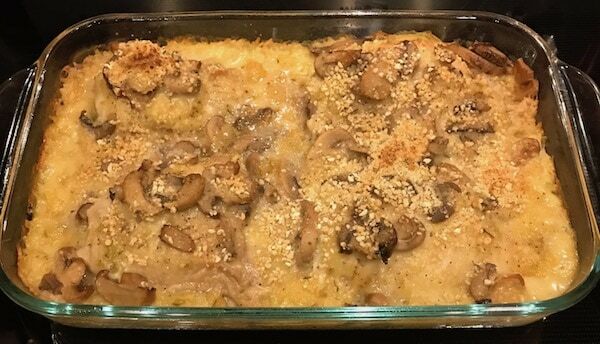 One of our favorite meals has been the chicken and rice casserole. I serve that with a side vegetable or salad. 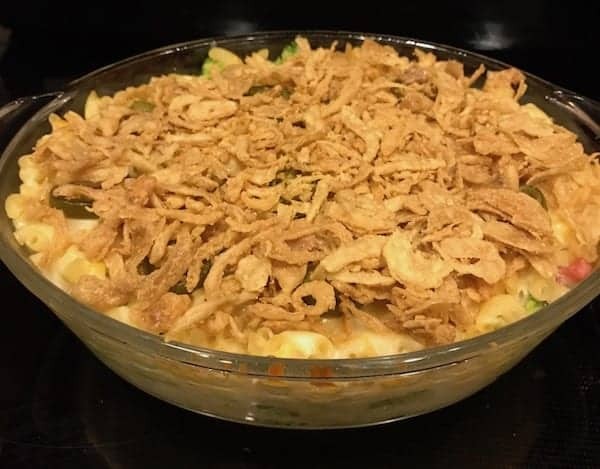 Another one that we like is the mac-and-cheese casserole. I typically add ham and a vegetable to make it even more nutritious. Everyone will love this mac-and-cheese casserole. 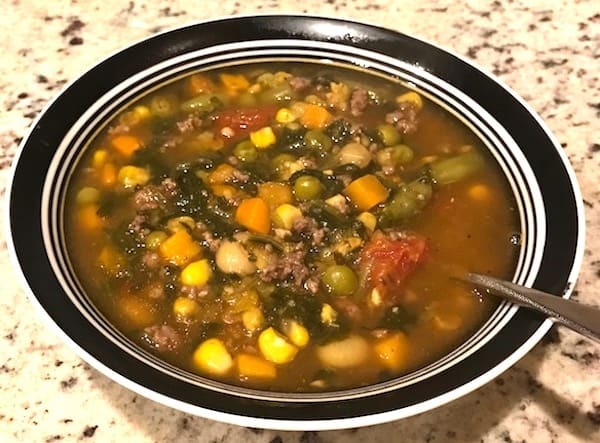 There is nothing that warms you from the inside out like a delicious homemade soup. Not only that, you can include whatever ingredients you have on hand. 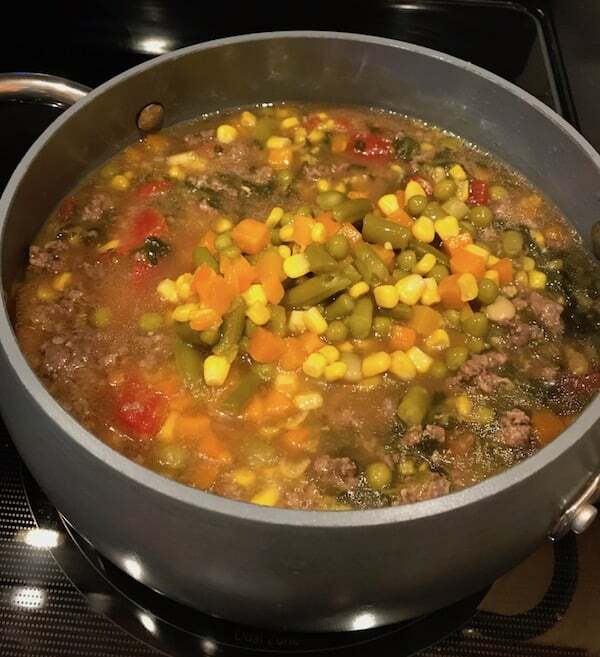 I typically have a well-stocked pantry and freezer, so I’m able to craft some sort of tasty and nutritious homemade soup with what I already have. This winter, I’ve made both the vegetable beef soup and the homemade bean soup. You don’t have to use the same vegetable or beans. 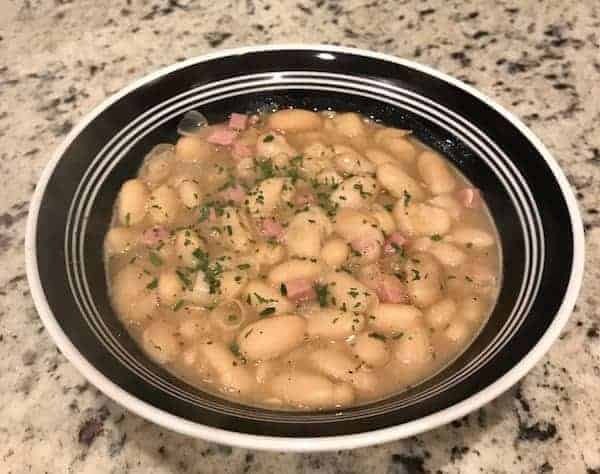 In fact, part of the fun is putting different types of veggies and beans into the pot to form a completely different type of flavor. One of the things I enjoy doing is coming up with something on my own. Sometimes I replicate a dish I’ve tasted at a restaurant, and other times I make it up as I go. As shrimp and grits grew more popular, I tried them at a few restaurants. Although I liked all of them, I thought about how I’d make them even better for Wally and me. Another concoction I came up with is the stuffed avocado. 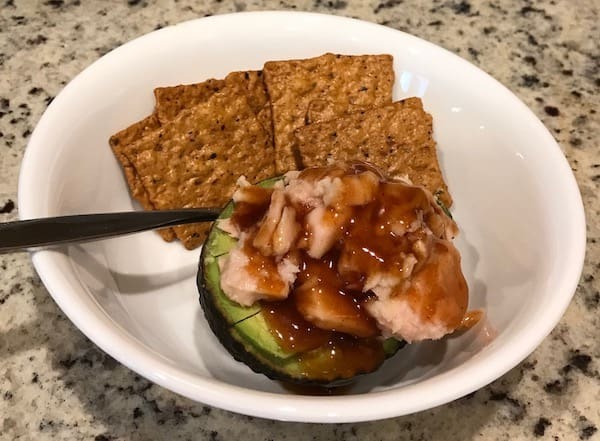 We’re both typically hungry when we come home from church, so the tuna-stuffed avocado made its way to our Sunday lunch rotation. You don’t have to limit yourself to tuna. You can stuff it with any meat or vegetables you have on hand. And then you can top it with your favorite salad dressing. Why is a Family Dinner Important? There are quite a few advantages to the family dinner. First of all and most important, it’s much easier to get a handle on the nutrition you and your children consume. Most restaurants season food for flavor without any concern to the nutrition. I try to do both. Another aspect to the family dinner is that it promotes conversation. Sitting around the table gives you an opportunity to share your experiences, thoughts, and hopes. It’s basically a better way to communicate than to drill your child at the end of the day. According to the American College of Pediatrics, the family dinner impacts all of the senses and enables us to share our values and ideas as well as help solve problems. Listening to others is a learned skill that gets better as we practice it with the family at mealtime. When the kids were little, I usually prepared the entire meal by myself. Sometimes I had time to be creative, while other times I stuck to the tried-and-true. One thing I always tried to do was use food substitutions if they added nutrition or saved time in the kitchen. As the girls grew big enough to see the top of the counter, I encouraged them to help out. Since I wanted them to see cooking in a positive light, I also allowed them to be creative. Although this sometimes backfired—like when they decided to mess up the kitchen after I went to bed. However, in the long run, they turned into quite good cooks for their own families.